“Between Homelands" is a series produced in partnership with students from USC Annenberg’s School for Communication and Journalism. They’re bringing us stories of people living in California who have come from afar, or who were born in the U.S. but feel like cultural foreigners. All immigrants to this country face uncertainty, but most can rely on having an embassy or consulate. Kurdish people, however, have no recognized nation of their own. They come from ethnic homelands without defined borders. What they call Kurdistan is split up among Iran, Iraq, Syria and Turkey. So, no embassy exists for them in the United States or anywhere else. In Los Angeles, Kurds are scattered across the vast Southland, in Westwood, the San Fernando Valley, Central Los Angeles and Pasadena. 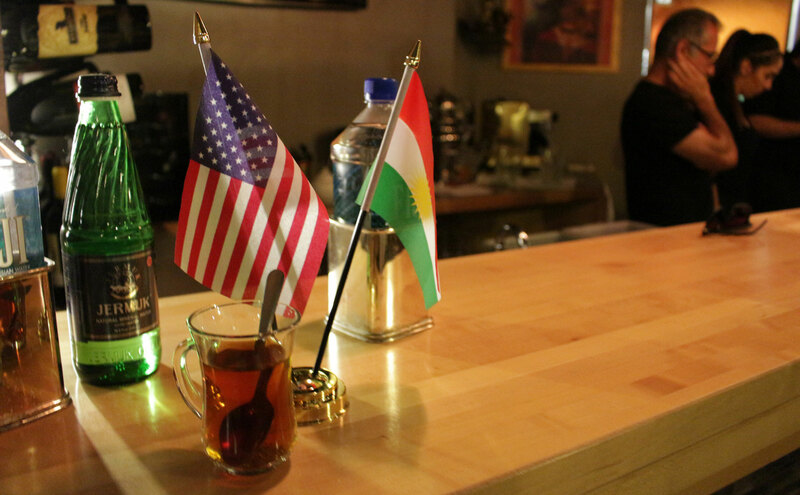 There’s no Kurdish equivalent of L.A.’s Koreatown or Little Ethiopia. Here, as in the Middle East, they are dispersed. But Luqman Barwari, a restaurant owner and Kurdish Iraqi immigrant, is trying to change that. 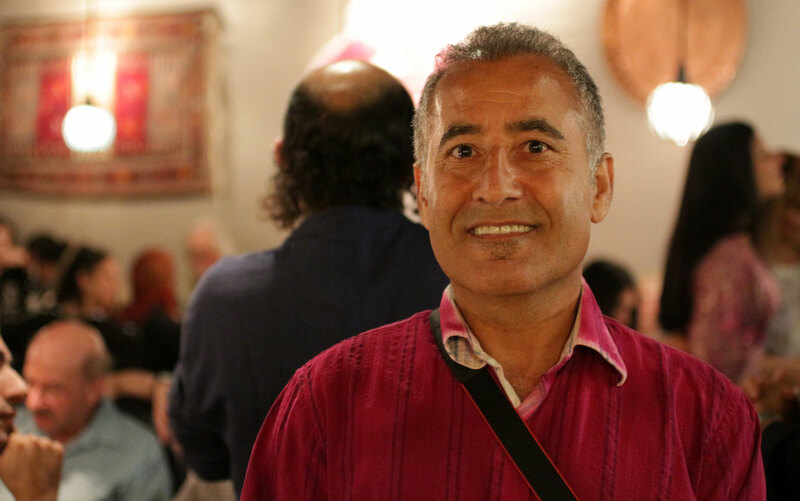 Two years ago he created Niroj Kurdish Cuisine in Agoura Hills, after leaving a decades-long career in biotech. The restaurant is an unofficial embassy, one aimed at keeping his culture alive and the local Kurdish people united. “Here we feel like we’re not fully rooted in the system, or in the culture, or in the soil, because we were not born here,” says Barwari. But Niroj, in some ways, feels like home. When visitors open the front door on the restaurant’s livelier evenings, they are transported by strains of live Kurdish music and the aromas of Barwari’s complex, home-style dishes. On one such night, master tembûr (fretted, steel-stringed lute) musician Raman Osman, from Syria’s Kurdish region, serenades tables packed with Kurds and non-Kurds. Some of the patrons cannot help but start a line dance that twists through the tables. Barwari greets friends and guests while darting in and out of the closed kitchen to watch over his kubbeh soup, a Kurdish-Israeli dish. 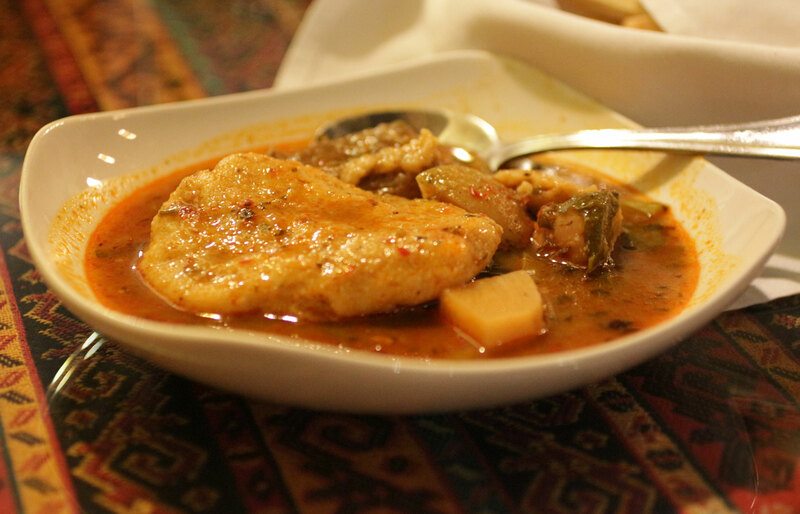 He makes it with semolina, beef or lamb dumplings, and organic vegetables, including beets, okra, chard and chickpeas. For dessert, he serves fried goat cheese drizzled with honey. 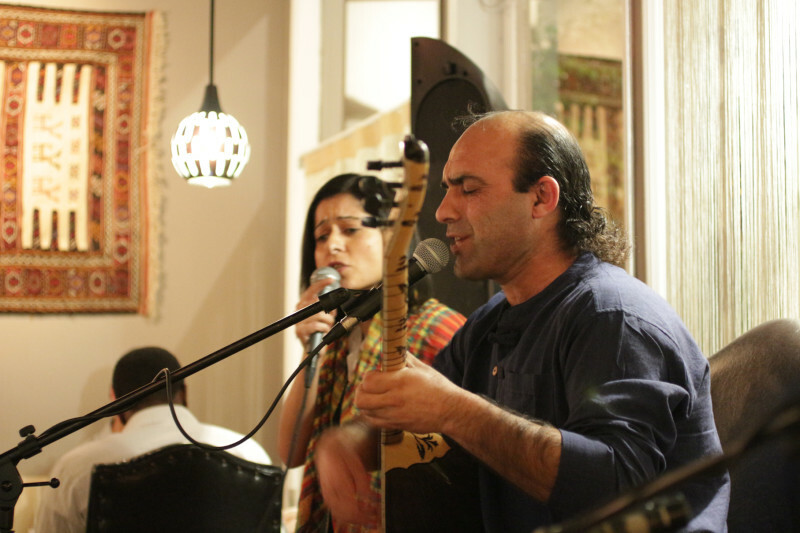 The food, music and camaraderie make Niroj Kurdish Cuisine a place of unity, an unofficial embassy presided over by Barwari, its unofficial ambassador. But some nights Barwari cannot forget about relentless conflicts and suffering in Kurdistan. Painful news from home and fading childhood memories draw his mind and heart back to his homeland in an instant. Barwari was born in Iraq’s northern Kurdish region. He came to the United States in the 1970s as a teenager, when his family fled political violence. His childhood village was later destroyed in Iraq’s al-Anfal campaign, known as the Kurdish genocide. Now, some of Barwari’s relatives in Iraq are members of the Kurdish peshmerga, fighting the Islamic State (ISIS). As he planned a party to celebrate the liberation of the northern Syrian town of Kobane from ISIS, he saw the horrible news on Facebook. His cousin was killed while fighting ISIS near Mosul, Iraq. As ongoing hostilities threaten Kurdish people and their heritage at home, Niroj invigorates a piece of Kurdistan in Los Angeles. Barwari says “the memories stay alive” when his restaurant brings people together to eat kubbeh soup and listen to Kurdish music. And that motivates him to have a place like Niroj -- a place where Kurds can celebrate their culture.